The African and African Caribbean Kultural Heritage Initiative (ACKHI) is a not-for-profit Black Afrikan-led community organisation, with the aim is to promote, protect and preserve the history, heritage and culture, of peoples of Black African heritage living or working in Oxfordshire. 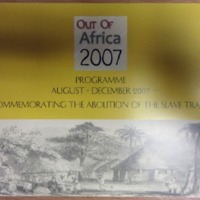 The Out of Africa programme of events in 2007 included an exhibition of books about slavery and the slave trade, which toured Oxfordshire libraries, and performances of African music and contemporary dance. The ‘Remembering Slavery’ commemorative service was held in Christ Church Cathedral. 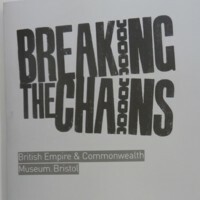 ‘Connections’ was a research project looking at Oxfordshire’s links to the system of slavery and the slave trade. ‘InTentCity’ was a visual arts project, in partnership with Fusion Arts, bringing together cultural groups, primary schools and artists to transform tents into works of art – one theme addressed was ‘Freedom’. Reflecting the legacy of the system of slavery and the slave trade, ‘Common Threads’ was an exhibition of textile work by the Textiles for Peace group, local women representing multi-cultural Oxfordshire. In ‘Ancestral Souls’, the African Women’s Art Collection (AWAC) collaborated with women of African descent to produce and exhibit 200 dolls to represent the diaspora of African peoples. Soham Village College partnered with Soham Action 4 Youth (SA4Y) and Soham Museum in a project to record Soham at the Time of the Abolition, to commemorate the bicentenary and celebrate the life of Olaudah Equiano. Equiano, otherwise known as Gustavus Vassa, was the former slave who became an antislavery campaigner in the 18th century. His connection to the Cambridgeshire town of Soham is in his marriage to a local woman, Susannah Cullen, at St Andrew’s Church. Both of his daughters were born and baptised in the town. The research aspect of the project including mapping the town of Soham as it was in the 18th century, the results of which were published in a book by Mac Dowdy. 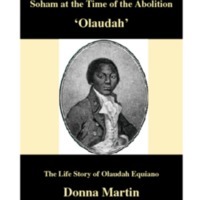 'Olaudah: The Life Story of Olaudah Equiano' was written by Donna Martin. Several community events took place during the course of 2007 and 2008, including a re-enactment of Equiano’s wedding at St Andrew's Church in Soham, performed by Soham Village College theatre group Stage Chance, in partnership with Momentum Art’s Untold Stories Arts and Heritage Project. The event also comprised several speakers and performances of African dance and drumming, and the launch of a book by Angelina Osborne about the life of Joanna Vassa, Equiano’s only surviving daughter. A permanent plaque to Olaudah Equiano was unveiled in the church. The project also featured an exhibition of African art and portraits of Equiano by Soham residents and young people. 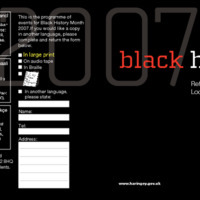 Leicester's Black History Season in October-November 2007 marked the bicentenary of the abolition of the slave trade. 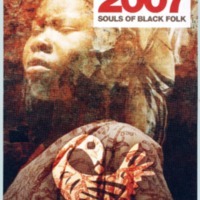 Its aim was to redress the balance from a 'Eurocentric point of view' of abolition, and focus on the Afrikan perspective with the theme of 'Souls of Black Folk'. Musical performances included gospel, Motown, reggae and jazz. 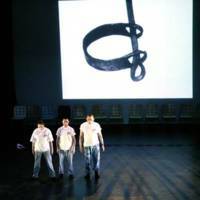 Other events in venues across Leicester and Loughborough included traditional South African dance, contemporary dance, performance poetry, comedy, multimedia performances, storytelling, theatre and an exhibition, 'Africa's Gift', focusing on the economic and cultural contributions of the slaves and their descendants. The Engage 2007 Festival of Culture celebrated cultural freedoms in South Gloucestershire. Led by South Gloucestershire Council, and in partnership with local volunteer groups, schools and community groups, the festival took place on 17 November 2007. It featured 40 live performances of drama, dance and music from India, China, Africa, South America and Europe, a world food zone, family workshops, youth and environmental activities and 60 interactive and information stalls. 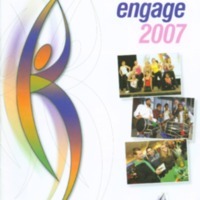 The Impact exhibition was produced as part of Engage 2007, exploring the part that people living in South Gloucestershire played slavery and abolition. 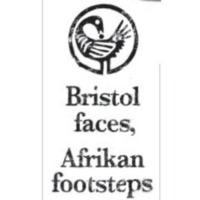 The Adisa project gave a group of 20 young people of African and African Caribbean heritage the chance to investigate their roots both in Bristol and Africa. The group researched the history and legacies of Bristol's involvement in the trade in enslaved Africans, and its impact on one African country: Ghana. This was a community partnership project in collaboration with the Bread Youth Project, Full Circle Youth and Family and the Mill Youth Centre. The group opened their own exhibition, 'Afrikan Footsteps' at the City Museum and Art Gallery, after a two-week research trip to Ghana to learn about the country's history and culture. The exhibition included short films made by the participants; a Quotes Wall, taken from young people’s interviews with members of their local community; a wall of their personal heroes; a photographic exhibition of their trip; and 'Ma’afa Journey', a film recording their personal reactions to places visited in Ghana. The Freedom Performance was a collaboration between Tyne and Wear Museums, Dance City (a dance school in Newcastle), professional artists, performers and community and youth groups from across Northumberland and Tyne and Wear. The performance was inspired by music, dance, literature and objects relating to the slave trade and its legacy. 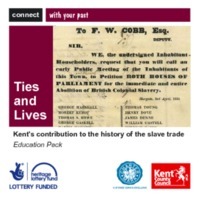 Ties and Lives: Kent and the Slave Trade was a project run by Kent Archives in collaboration with Creative Partnerships Kent and the educational charity Music for Change. It aimed to show how the county’s historic collections could be used by young people to support their education, particularly on contemporary issues. 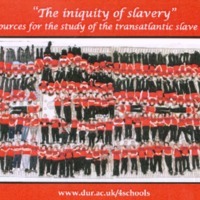 An education pack provided a range of sources, research and information for secondary schools about the abolition of slavery. Music for Change artists visited schools in the county and through performance workshops encouraged students to interpret stories found in the archive and local history collections and explore the impact of the transatlantic slave trade and the abolitionist movement on the past lives of Kentish people. There was a particular focus on music and dance originating from the traditions of enslaved peoples. 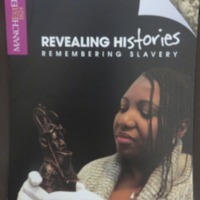 The Manchester Museum was one of eight heritage bodies in the ‘Revealing Histories: Remembering Slavery’ partnership in Greater Manchester. The project set out to explore the history, impact and legacy of slavery on Britain through collections and community links in the North West. The Manchester Museum examined the role of Victorian institutions in promoting the racist thinking that justified slavery; objects and images in the museum's collections were identified as having been used to support racist ideas. Events and workshops included a debate based on the question 'Are museums racist? ', plus sessions on African dance traditions. 'This Accursed Thing' was a promenade performance around the museum, examining the transatlantic slave trade through the eyes of those involved - abolitionists and traders, slavers and slaves - and looking at ways in which individuals attempted to dispel racist myths. The 'Myths about Race' exhibition was the culmination of Manchester Museum's participation in the Revealing Histories project. Gallery Oldham was one of eight heritage bodies in the ‘Revealing Histories: Remembering Slavery’ partnership in Greater Manchester. The project set out to explore the history, impact and legacy of slavery on Britain through collections and community links in the North West. A number of objects from Gallery Oldham's collections were identified as having links to the histories of the slave trade and slavery, focused on the themes of sugar, abolition, the American Civil War and the cotton industry. Two exhibitions also played a role in this trail. 'Cops and Bobbins', exploring Oldham's textile industry, illuminated the links with American slavery in the 19th century. 'Oldham Votes' looked at the significance of the election of 1832, during which slavery and abolition were debated. In collaboration with Touchstones Rochdale, Gallery Oldham also hosted a special day event, 'Slavery - what's it got to do with us? ', featuring family activities, debate, and performances of African dance. 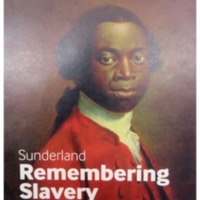 In Sunderland, the Museum and Winter Gardens hosted a varied programme of activities under the Remembering Slavery 2007 umbrella, including African drumming sessions, African inspired textile crafts, poetry workshops and storytelling. There were also guided walks around the sites associated with James Field Stanfield, the leading Sunderland campaigner against the slave trade. Elsewhere in the city, The Power of Words: an Image of Africa Past and Present was a creative writing project in collaboration with the Sunderland African Association. Participants worked with poet and writer Sheree Mack to produce poems exploring slavery and its relevance in contemporary times. 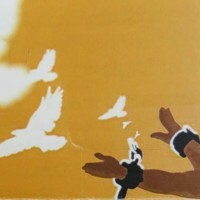 The 'Slavery Connection' project researched Bexley’s links with the transatlantic slave trade through the London borough's residents and buildings. The exhibition, which included objects from Bexley Museum, aimed to raise the level of understanding in local communities about the history of the slave trade, by highlighting numerous local connections - such as Danson House, once home to the sugar merchant and slave trader Sir John Boyd, while archives of the East Wickham estate reveal evidence of a West African coachman called Scipio. Over a two year period, the travelling exhibition was displayed at 14 sites, including local African Caribbean groups, youth centres, libraries and churches. The launch event at the Bexley African Caribbean Community Association was accompanied by displays of African dancing, drumming and drama. An educational handling box and teachers’ pack were created for use in local schools. Durham University Library holds many archives relating to the slave trade in its Special Collections due to a connection with the family of abolitionist Granville Sharp. This is supplemented by material relating to the West Indies and the slave trade in the papers of the Prime Minister between 1830 and 1834, Charles Grey, 2nd Earl Grey. This material had already been used in a series of online resources available to download on the 4schools website. 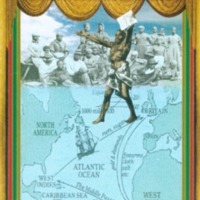 Central to their bicentenary commemorations in 2007 was a special event to recreate the image of the slave ship ‘Brookes’ using a life-size print of the middle deck and populating it with nearly 300 students from local schools. Students were also given the opportunity to learn African dance and drumming. The handling collection, print and resources produced as a result of this event are still in use for outreach work with local schools.